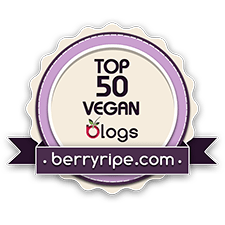 Sometimes you’re looking for the perfect salad to bring to a summer barbecue or potluck, or an easy lunch for family and friends at home. Here you go. 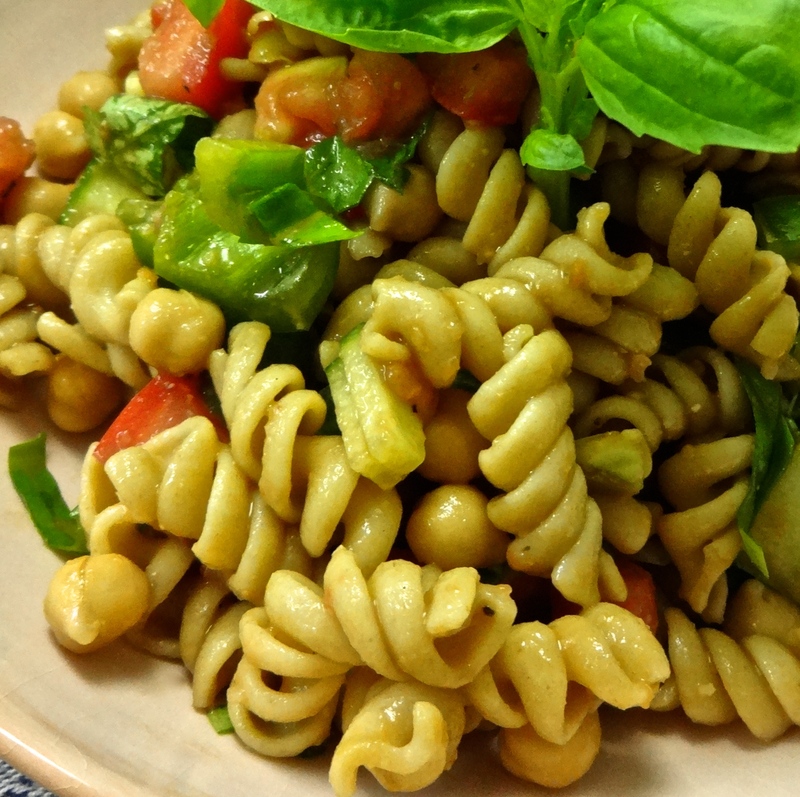 Full of fresh basil and Roma tomatoes, plus hearty whole grain pasta, chickpeas, and a sprinkle of olives, this salad has it all. It’s light and summery, yet very flavorful and satisfying. And the dressing? I saved the best for last! 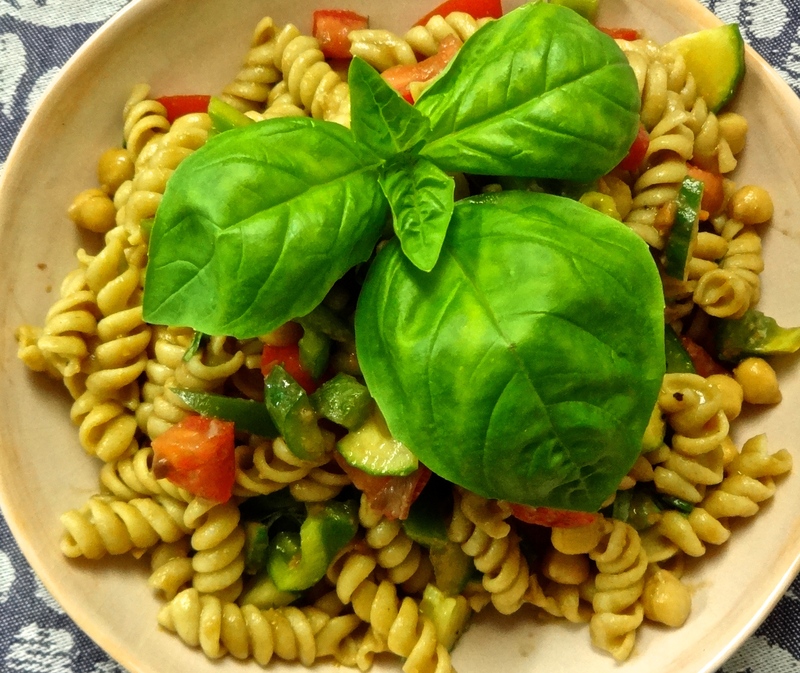 In a large bowl, combine the pasta, tomatoes, chickpeas, bell pepper, and cucumber. Add basil and olives over the top. In a separate bowl, whisk together the balsamic vinegar and the hummus. Season with salt and pepper to taste. Pour dressing over salad ingredients. Toss together and serve.